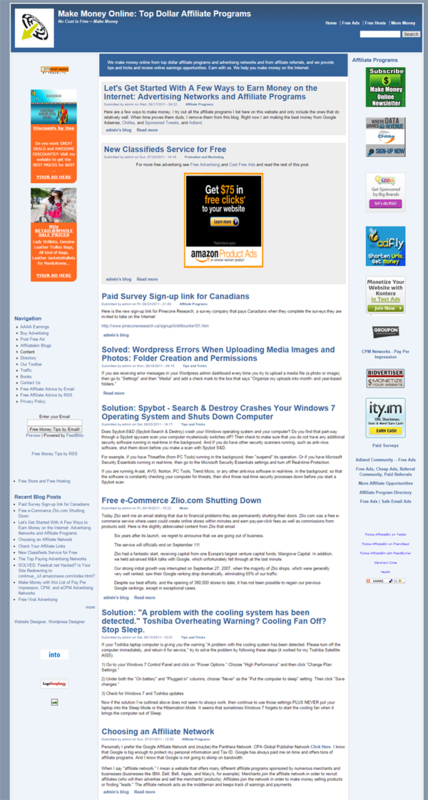 I created the affiliate marketing site www.affiliatebin.com (Make Money Online: Top Dollar Affiliate Programs) by substantially customizing a free theme/template for the Drupal CMS. (Find out more about the functionality at www.drupal.com.) 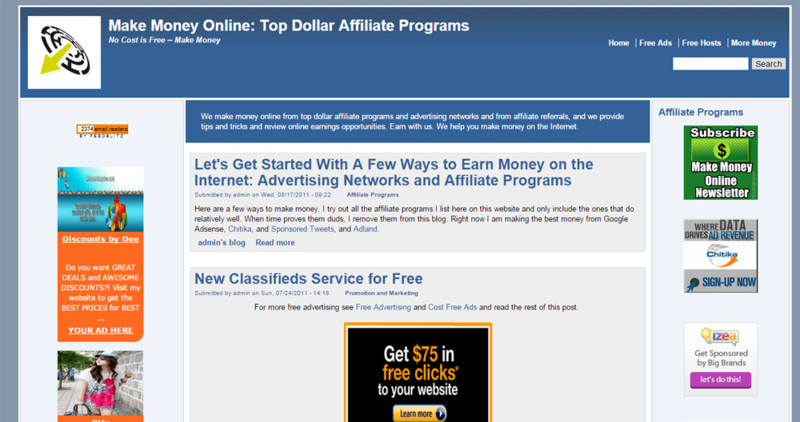 I also helped monetize www.affiliatebin.com, which is doing quite well with a growing list of email newsletter subscribers — 1748 email readers at this time. That’s the beauty of free themes: you can change their design to the point that they’re your own.